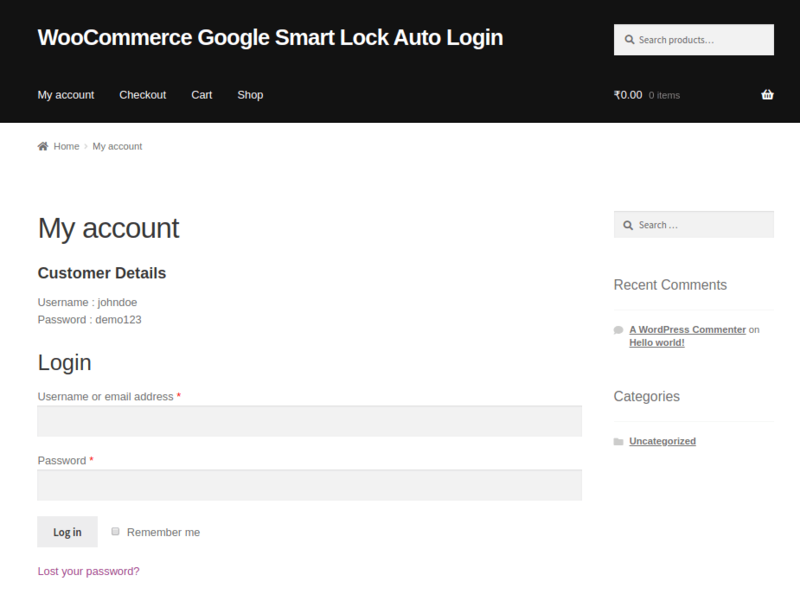 Chrome Auto Login for WooCommerce allows the customers to log in automatically into a website without having to enter passwords each time a customer visits a store. It is likely that a customer may tend to forget passwords. 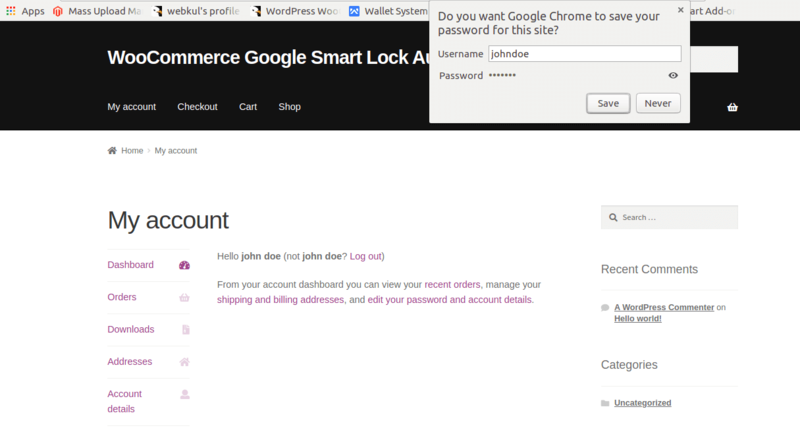 The Chrome Auto Login for WooCommerce saves the customer’s accounts and seeks permission to save the password associated with the account. 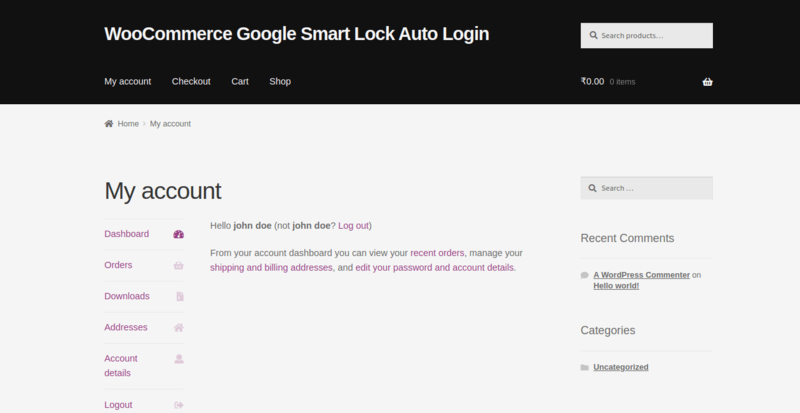 Allows the customers to login into a store, automatically. 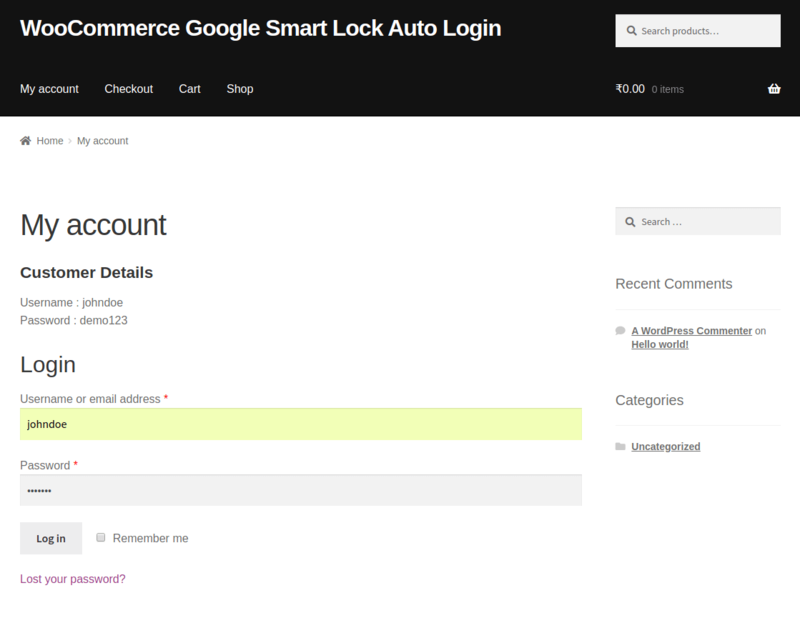 A hassle-free process as the customers will not have to remember passwords everytime they log in. 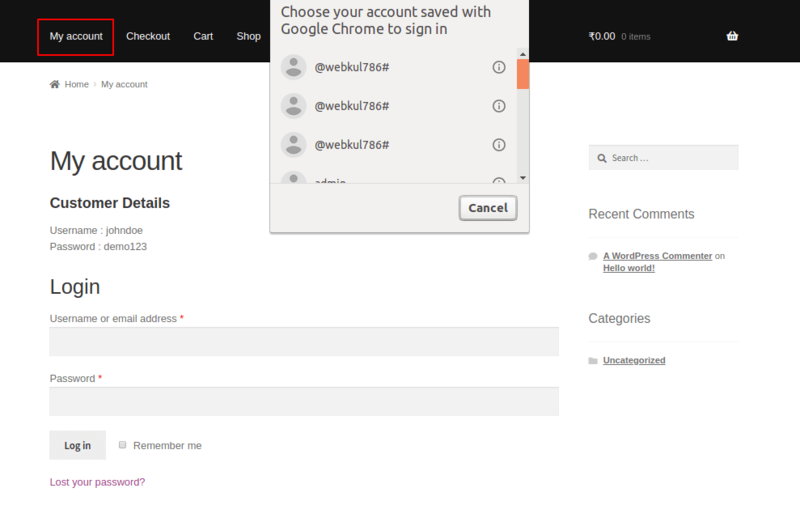 Multiple account credentials can be saved by customers. 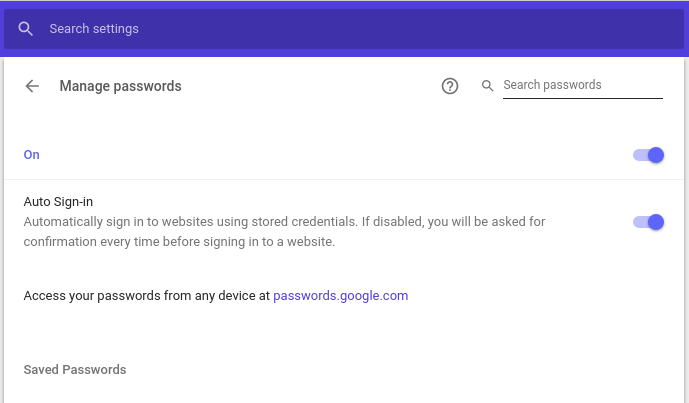 Customers can view and delete the saved passwords.